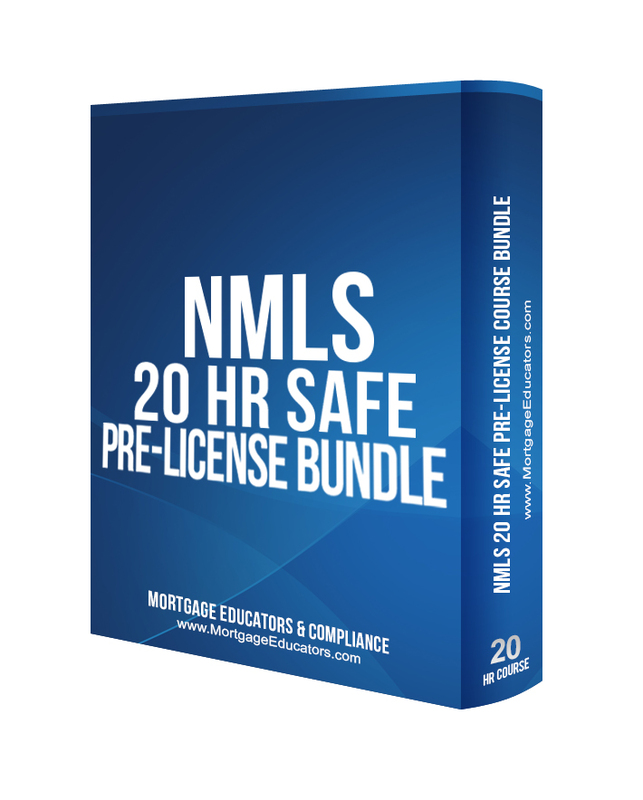 This course has been approved by the NMLS to fulfill the 20 hours of Pre-Licensure Education requirement outlined in the SAFE Act for mortgage loan originators and brokers. This course will be taught as an online Webinar course format.The course is spread over 3 days (Tuesday through Thursday) from 8:00 AM to 3:30 PM MST each day (10:00 AM - 5:30 PM EST; 9:00AM - 4:30 PM CST; 7:00 AM - 2:30 PM PST). Students must be present for each day in it's entirety to receive credit for the course. Please choose your start date when you add the product to your cart. If you have any questions please contact 20hour@mortgageeducators.com. This course does not include any additional state specific hours. If you are in one of the 28 states that require additional or specific state hours please be advised that those hours will need to be completed in addition to this course. Some States do require additional State Elective Hours. Click Here to see if your state has more hours. The 20 Hr. course does not include any additional state hours. "State hours" are applicable in these states AZ, CA-DBO, CO, CT, DC, FL, HI, ID, MI, MD, MA, MS, MT, NC, NE, NH, NM, NJ, NY, NV, OH, OK, OR, PA, RI, SC, TN, TX, UT, VT, WA and WV. A comprehensive national test prep course with the uniform state test (UST) component is included in this bundle. Over 1000 practice questions and study materials will be loaded into your account upon purchase.